Romeck van Zeijl has worked as a psychotherapist, coach and trainer since 1996 and as a supervisor and consultant since 2002. He specializes in enabling teams of people, individuals and couples to find their creative edges — the edge of learning where transformation takes place — because he believes not only a person’s intellect but also his or her whole being is touched by the experience. 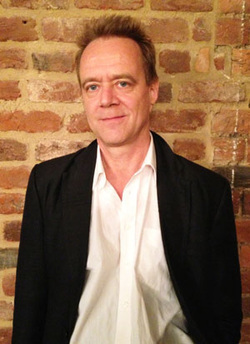 Romeck originally trained in body-centered and transpersonal psychotherapy in the Netherlands and Germany. He also studied supervision, mentoring and coaching in the United Kingdom. He has designed and facilitated a number of training programs in counseling and psychotherapy as well as a 2.5-year training program on supervision, mentoring and coaching in Slovakia. His program was the first of its kind in that country. Apart from designing training programs in experiential learning, Romeck is also an expert in gender communication and knowledge management. He drew on this expertise when working with NGO’s in Southeast Asia. Romeck has also devoted time to work related to trauma and post-traumatic stress, and he has facilitated many seminars focused on relationship and communication skills. He is currently involved in the leadership development program of VBNK, an organization that serves facilitators of development in Cambodia. As a specialist in NGO’s and organizations interested in becoming more ethical and sustainable, Romeck also works as an executive coach. His background and experience in psychotherapy and supervision give him an “edge” when it comes to quickly assessing the strengths of individuals or organizations. His background also helps him identify negative leadership habits and systemic dynamics that can hold organizations hostage. His background in mediation and conflict resolution enables him to work skillfully with tension and conflict in an organizational setting. Romeck has been involved with Kybele since 2013 and provided leadership training at the Team Leader Summit in February 2014.